Main compartment fully padded to safeguard contents. Removable internal dividers for customisation. 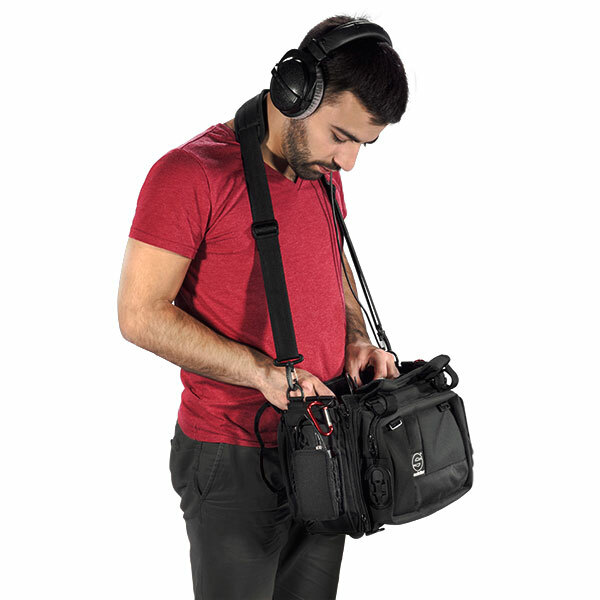 Standard audio bag with transparent top window, multiple configuration options and storage pockets, with padded adjustable shoulder strap for comfort whilst working.